What are admin users and how do you add one? Once a user has been added you can choose if they should be an administrator or a standard user. By default all users are standard users. Being an admin allows you to access the App Settings panel. 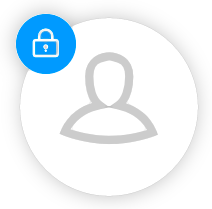 You can tell if someone is an admin as the blue padlock icon will appear next to them in the list. 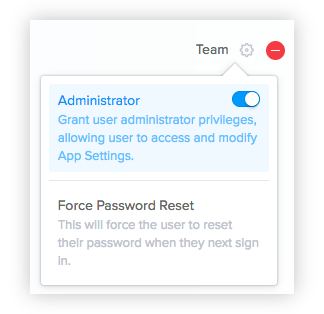 To add or remove admin privileges from a user, click the settings icon next to them in the list and use the Administrator toggle.